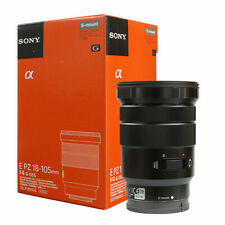 126 product ratings - Sony E PZ 18-105mm f/4 G OSS Lens BRAND NEW!! 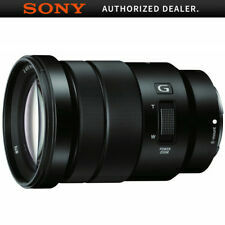 Sony E PZ 18-105mm f/4 G OSS Len!! STARTER BUNDLE BRAND NEW!! 126 product ratings - Sony E PZ 18-105mm f/4 G OSS Len!! STARTER BUNDLE BRAND NEW!! 126 product ratings - Sony E PZ 18-105mm f/4 G OSS Len!! EVERYTHING YOU NEED BUNDLE!! NOT GRAY MARKET - USA Authorized Dealer FULL WARRANTY!! This page was last updated: 19-Apr 03:48. Number of bids and bid amounts may be slightly out of date. See each listing for international shipping options and costs.